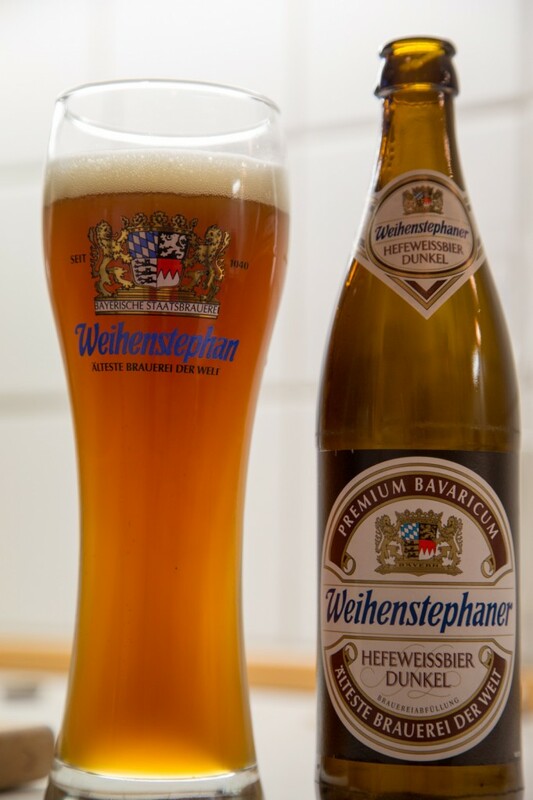 The Weihenstephan Abbey was funded by the Benedictine monks in 725 and in 1040 they established what is now the oldest still operational brewery, in the world. The brewery is now owned by the state of Bavaria and is closely related to the technical university of Munich where studies on brewing and beverage manufacturing is a graduate program. I bought this beer at Munich airport where it came with two beers in a crate with a Weihenstephan glass. Price was 6,7 Euro for two 500ml beers at 5,3% and a glass. A dark orange going to light brown unfiltered beer fills the glass and is much less dark than at first expected. The head structure is rough and disappears quickly. A fantastic aroma that is fruitful and at best I can describe it as delicious with a hint of spices. Taste is a delightful fruity and very well balanced experience. For a dark weissbier this certainly is not dark in neither colour or taste and that leaves a very good beer. This entry was posted in Beer and tagged beer, dunkel, weissbier. Bookmark the permalink.